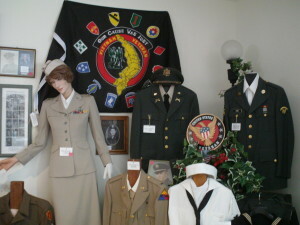 Exhibit at the Veterans Museum. 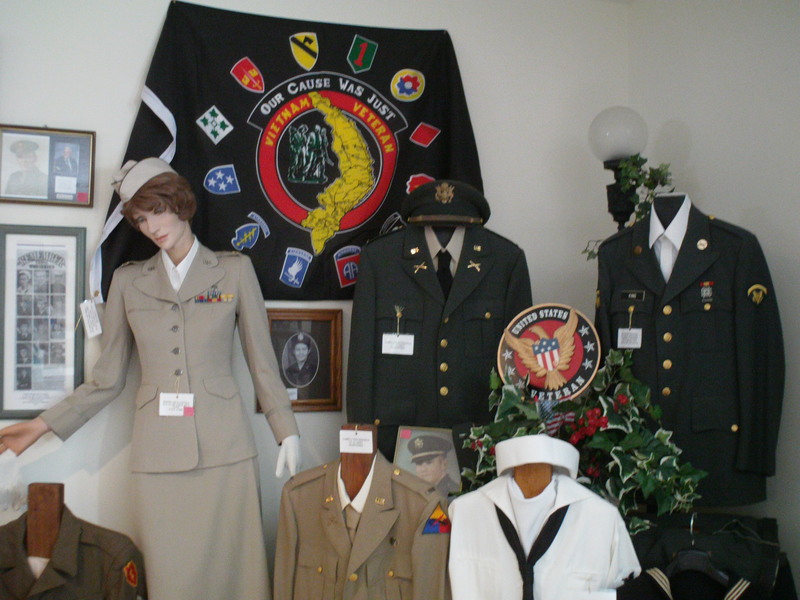 The Veterans Museum opened in 2005 to honor our local veterans. We have items on exhibit from the Revolutionary War to our most recent conflicts in the Middle East. We even have tapes and DVDs with of some our servicemen telling about their experiences in the military. We are open on Saturdays 9:00 am – 3:00 pm and admission is free. Donations are gladly accepted. Is the Veterans Museum open anytime other than Saturday? Yes. There is usually someone at the Historical Society Monday, Wednesday, Thursday, and Friday as well. You may need to check there for someone to let you into the Veteran’s Museum.